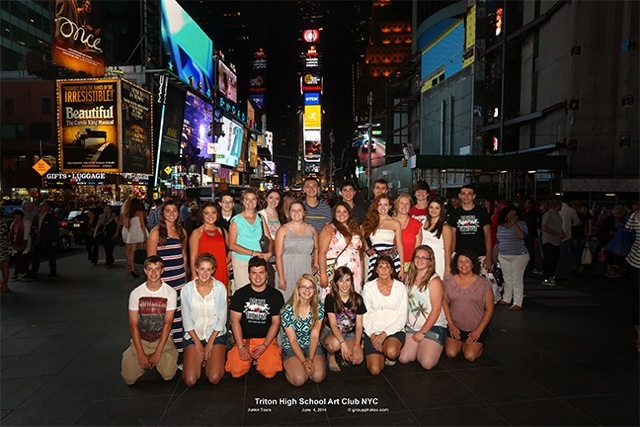 The members of the Triton High School Art Club visited New York City on June 3rd-5th for an art appreciation tour. While in New York City, the students visited Times Square, the Guggenheim, Metropolitan and Modern Arts Museums, the Empire State Building and the Statue of Liberty. They also visited the World Trade Center Memorial and Rockefeller Center and saw “The Phantom of the Opera” on Broadway. The Club is sponsored by Triton Art teacher, Diana Westphal.